Today we have a retired police officer from Southern California, Janice Cantore. 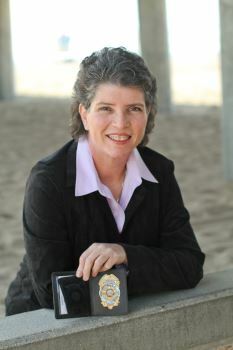 Janice served in the Long Beach Police Department for 22 years and recently Janice authored a new book called, Crisis Shot (Book 1 in The Line of Duty series) Welcome, Janice! You’ve seen a lot. We are living in hard times today for police officers. I never allowed my children to call them cops because I thought that was disrespectful. Now people are watching Youtube videos of all sorts of horrible behavior. I guess you don’t have to be a police officer to get the inside scoop on what’s happening. What is your impression of police work today?